I know I posted a similar photo two days ago, but this one makes a better contest entry. 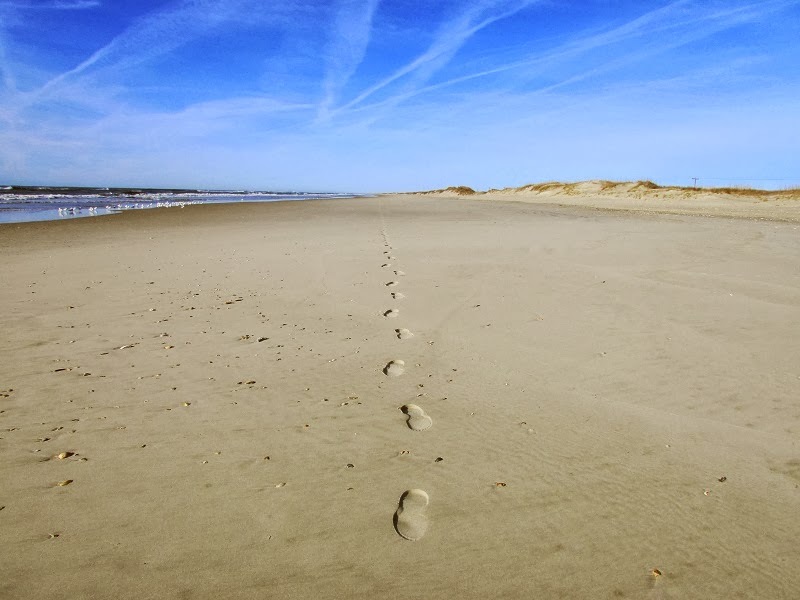 Ocracoke Island's beaches are wide and gently sloped and smooth and firm and unspoiled. Critics might complain that Ocracoke is inferior (compared to America's great resort beaches) because it doesn't have a tiki bar. But for the pure natural beach hiking experience this is it. I live on the beach. I have logged more than a thousand miles of beach walking on all sorts of sand conditions from quicksand soft to pavement firm, from high tide to low and back again. So I ought to qualify as a bit of an 'expert'. 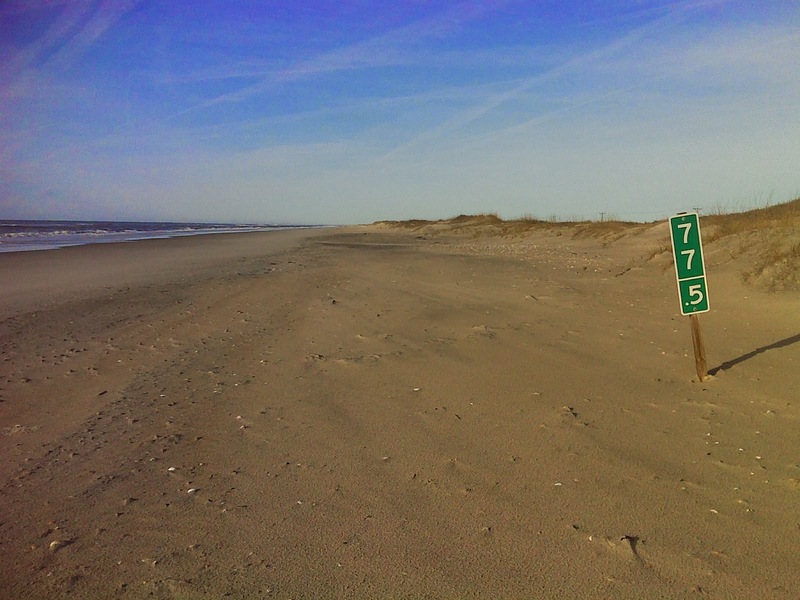 For me the 12.5 miles of Ocracoke beach strand is the best, most consistent (high tide to low) beach hiking experience I've found. The only drawback: there's not much to show for it. The photo up top tells the tale of the entire 12.5 miles. 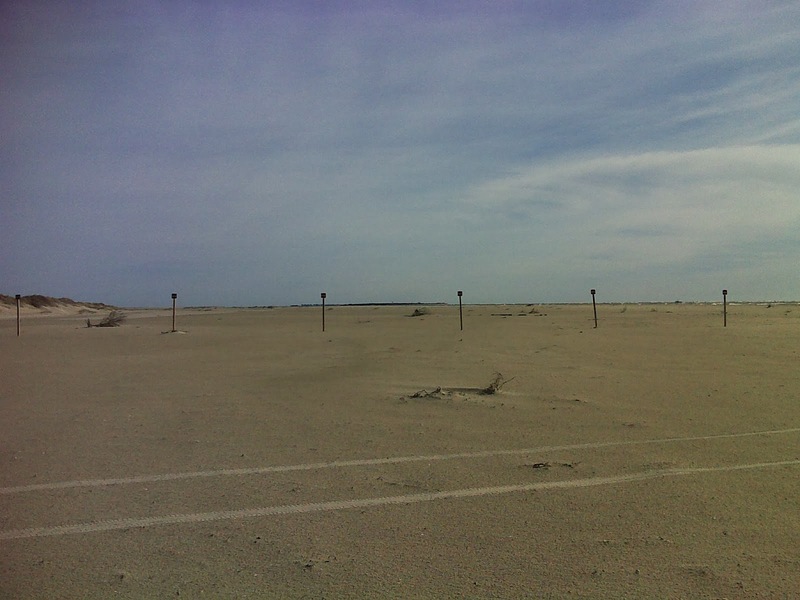 Along the beach, the one human presence is a set of mileposts erected every half mile. The numbers are from the overall Outer Banks Milepost system--numbers increase from north to south starting in Kitty Hawk where US 158 comes onto the beach across the Wright Memorial Bridge from the mainland. The markers are always at the base of the dune and a few of them are missing, but somehow I found this enhancement to the natural setting to be a very hiker-friendly 'luxury'. 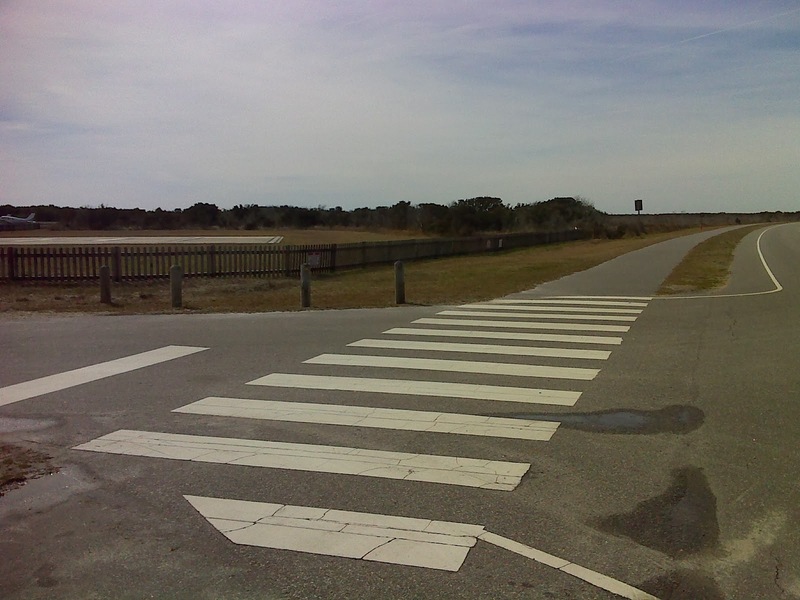 Then the trail leaves the beach on another vehicle access ramp, passes the Ocracoke airstrip, and then turns left onto a wide, smooth paved bike path that leads you into town and on to the ferry to Cedar Island. I'll do that part tomorrow. But for today, it was all beach all the time. I was smiling as I hiked. But perhaps I was feeling a bit of sensory deprivation near the end of the day after too much 'wide and gently sloped and smooth and firm and unspoiled'. 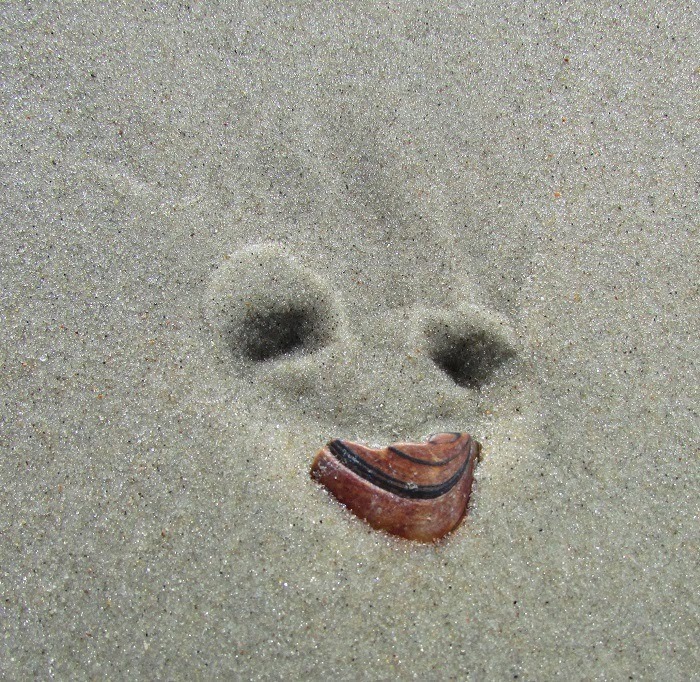 Because suddenly I found the beach smiling back at me. You bring back such great memories, Pete. Keep on writing. Thank you, Danny, I'll do my best. It's a pleasure to share as I'm creating my own memories.